The DSC Prize for South Asian Literature has gone to Anuk Arudpragasam for his novel The Story of a Brief Marriage. 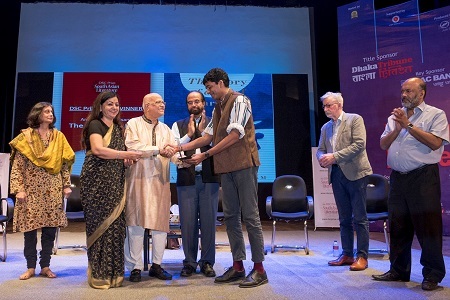 Arudpragasam received the prize at a ceremony at the Dhaka Literary Festival. 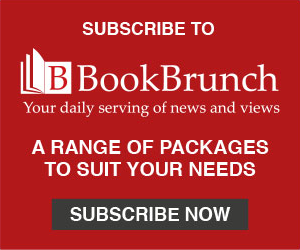 On behalf of the jury, Ritu Menon said: "The jury agreed that Anuk Arudpragasam was the best possible choice for his outstanding novel, The Story of a Brief Marriage. The novel is impressive for its intensity and rich detail, and for exploring the tragic heart of war with such quiet eloquence. It is also a testament to the redemptive power of love, and to the human spirit's capacity for hope." Alongside Menon, the jury members were Valentine Cunningham, professor emeritus of English language and literature at Oxford University; Steven Bernstein, screenwriter, director, author, cinematographer and lecturer; journalist Yasmin Alibhai-Brown; and Senath Walter Perera, senior professor in English at the University of Peradeniya in Sri Lanka. Photo: Arudpragasam receives the award from Abul Maal Abdul Muhith, Bangladesh minister of finance.